Seasonal Forecasts: a monthly update from Jane Bunn on the likelihood of rain in the months ahead. Long term forecasts can tell us if it will be wetter or drier (compared to the average) in the months ahead. To do this we look at the Pacific and Indian Ocean's. If they are 'neutral' it is not clear cut. But if they cross a positive or negative threshold, then that can indicate whether rain will be pushed to Australia, or away from Australia - if its more likely to be wet or dry. Here is a selection of indicators and forecasts for what these oceans are likely to do in the months ahead. Next update is due on April 25th. I'm pleased to partner with Rural Bank to provide Ag Answers weather updates. This video is for Victoria. Other states are available at the Rural Bank website. Updated monthly, around the 25th. The latest forecast from the Weather Bureau for rain in the next month and the next three months. Green and blue indicates higher odds for above average rain. Orange and brown indicated higher odds for below average rain. SOI (Southern Oscillation Index). Its the difference in pressure from the central Pacific to Australia. Looking at the centre of the Pacific Ocean, on the equator. The sea surface temperature, how above average or below average, up to now. Above +0.8C can indicate El Nino. Below -0.8C can indicate La Nina. The Weather Bureau's model forecast for the Pacific Ocean. Values in the red area indicate El Nino - the Pacific Ocean won't help it rain here. Values in the blue area indicate La Nina - the Pacific Ocean will encourage rain here. The summary of international models follows. Looking at the Indian Ocean, on the equator. 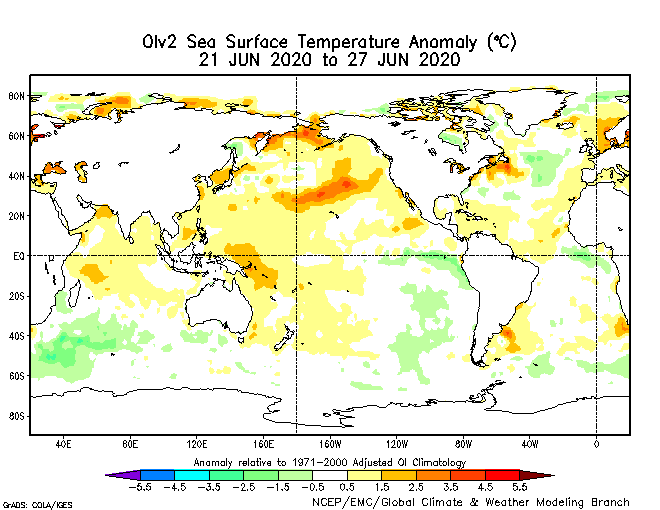 This is the sea surface temperature, how above average or below average, up to now. Above +0.4C can indicate a Positive IOD. Below -0.4C can indicate a Negative IOD. The Weather Bureau's model forecast for the Indian Ocean. Values in the red area indicate a 'positive IOD' - the Indian Ocean won't help it rain here. Values in the blue area indicate 'negative IOD' - the Indian Ocean will encourage rain here. This help or hindrance is most felt in winter and spring. (IOD is the Indian Ocean Dipole - the Indian Ocean equivalent of La Nina or El Nino). The Southern Annular Mode (SAM) index. Black is observation, red is forecast. Positive means the rain producing fronts and lows are too far south to affect southern Australia in winter. But in summer, it means a high can sit off Tasmania, letting humid air interact with an inland low or trough, potentially bringing rain to the southeast. Negative encourages rainfall over southern Australia in winter, letting fronts and lows pass through. But in summer, it can lead to a dry stretch of weather in the south, as high pressure sits overhead and acts to block any weather systems. Or, it produces westerly winds in the south without any ‘energy from a low’, so the rainfall totals are only light.